American DJ is your best source to find fluids for your Area Effect Machines. You want to make sure you have the right fluids for your machine so you can get the full effect and best show possible. 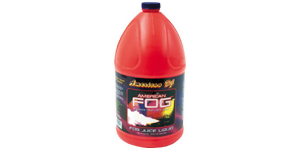 We have a great selection of juice for your American DJ Fog, Bubble, Snow, and Haze machines.